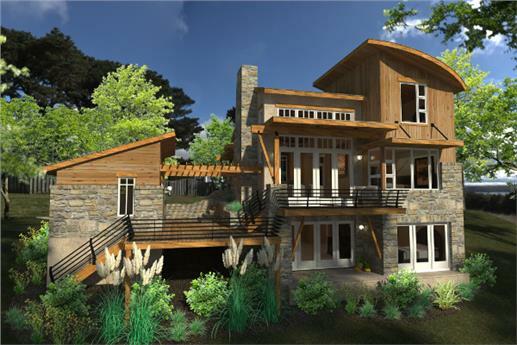 With its wraparound porch and decks on both levels, this 2-story, 3-bedroom Cabin house plan (top) takes in all the wonderful views of the natural surroundings (Plan #160-1009). 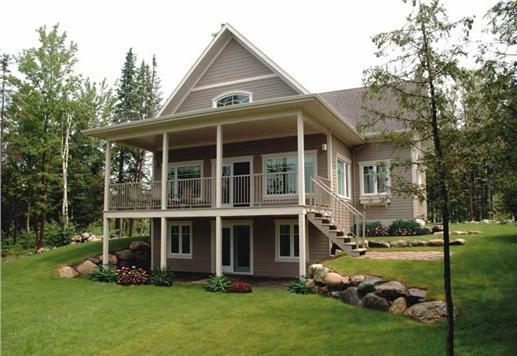 Imagine yourself on the deck, looking out into the tranquil setting of the lake, woods, and mountains (bottom). 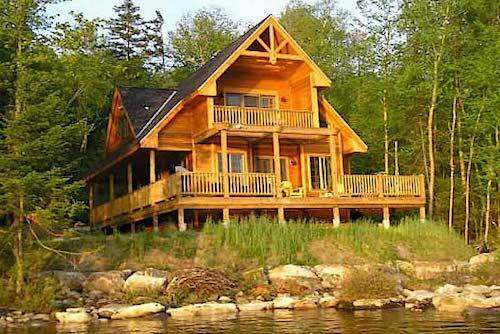 It’s the 21st century … but most people still dream of a fairy-tale home by the lake. 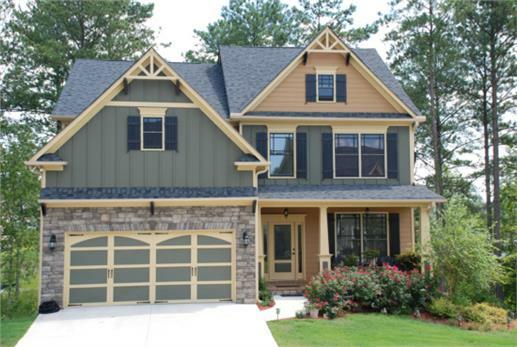 The Cabin-style design, with its images of mountain views, forest glades, and serenity, is an ideal house plan style not only for a second home but for a primary residence as well. As small home plans remain trendy and appealing to a younger generation, the classic getaway cabin is being retooled for modern living. No longer just a handcrafted one-room structure – the Cabin-style house plan is now one of the more popular and versatile designs in architectural circles. Today’s version comes in different versions and sizes – from the iconic log cabin, country cottage, and bungalow to a full-fledged vacation home. Let’s take a look at a Cabin-style house with a modern floor plan that can made into a stylish and sophisticated contemporary home . Designed after a mountain cottage, this modern cabin retreat (top) is made of heavy timber. Along with the rustic materials and its location in the woods, the beautiful home blends perfectly with the landscape. A look inside the modern Great Room shows a vaulted ceiling (upper middle), and open floor plan (lower middle), and a cozy fireplace corner (bottom), giving the home a charming rustic yet sophisticated feeling (Plan #160-1015). In the 1700s when the Swedish immigrants came to the New World, they introduced the original log cabins made of hand-hewn local timber. Living on the frontier in a simple one-room structure evoked the romantic and adventurous in the early settlers. 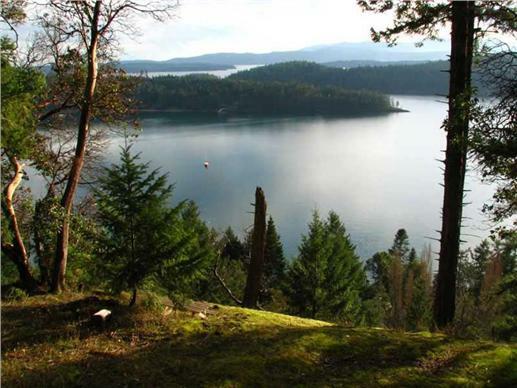 And what better setting than the vast, sprawling land with rolling hills, trees, and lakes? This structure is similar to circa-1800s log cabin you might find on the prairie in Kansas where the Ingalls family livedand – or elsewhere on the frontier (Photo by Alex Gorey on Unsplash). 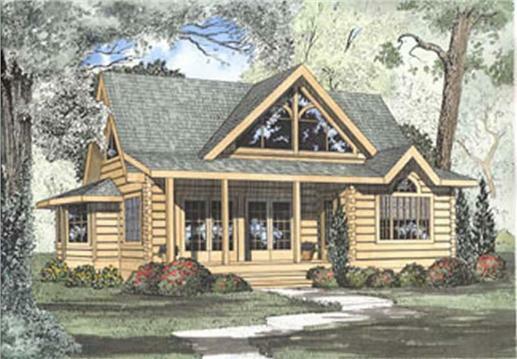 The modern log cabin home plan continues to capture visions of mountains, rivers, woods, and peaceful relaxation in front of a fire. The interlocking timbers, wood interiors, decks, wraparound porches, tall windows, and high ceilings with exposed beams remain the signature features. But there are innovations that make today’s log cabin house plans extremely diverse, stylish and luxurious, including modern fixtures and furniture, high-tech conveniences, integration of interior and exterior spaces, and energy efficiency. 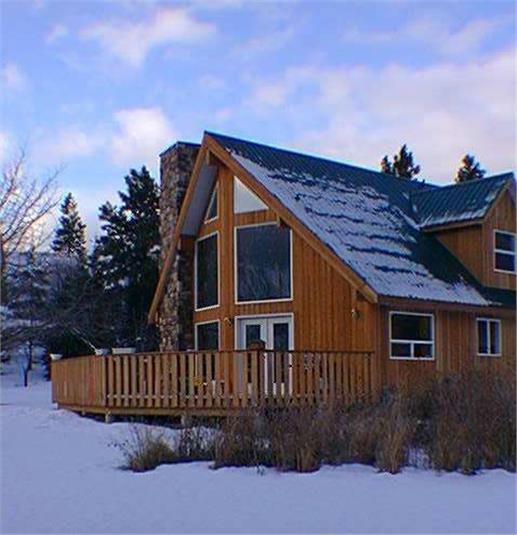 French doors open to the Great Room of this contemporary 2-story, 2-bedroom log cabin home, which also comes with a covered porch, a rear deck, fireplace, and Master Suite with a large walk-in closet and private access to the porch (Plan #153-1216). If the log cabin is the quintessential symbol of peaceful living, then the bungalow-style house plan is not far behind the concept. This style, which was adapted from the British, thrived in the early 1900s. It defined Americans’ desire for simple homes that were affordable and cozy; a place where they could have gardens in the quiet of a suburban setting. A bungalow to dream of! A lovely covered porch and courtyard make this 2-story, 3-bedroom country Bungalow house plan a home to pine for. Inside is a floor plan that features a spacious Great Room with a kitchen that opens to the back porch; the living spaces are on the second floor (Plan #120-1368). Go up the steps onto the covered porch of this charming Florida-style 2-story, 3-bedroom bungalow home plan. The interior floor paln features a Great Room with a fireplace and a living room that opens into the screened rear deck. The master suite on the second floor has two walk-in closets as well as a linen closet. 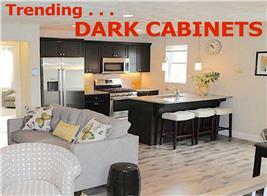 All of this in a floor plan made up of 1,679 sq. ft. of living space (Plan #190-1001). Much like cabin home plans in design, the first bungalows served as private retreats and vacation homes for the British who were stationed in India. 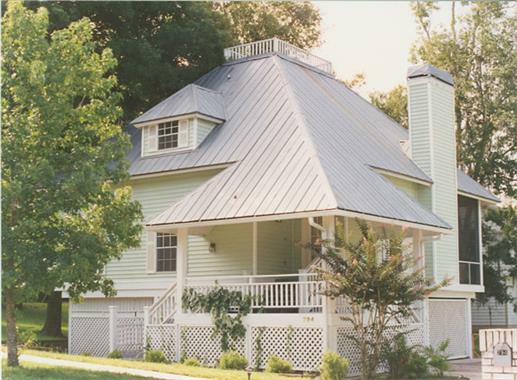 Similarly, bungalow-style homes can range from a one-story to a one-and-half-story house plan. Its simple design, clean lines, covered porches, balconies, fireplaces, and open floor plans attract families who were starting out. 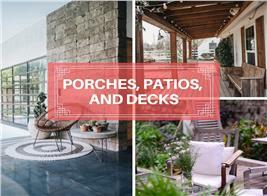 As they grew in popularity from coast to coast, they were adapted into the different styles that originated in the late 1800s – Craftsman, California, Prairie, and Chicago bungalows. 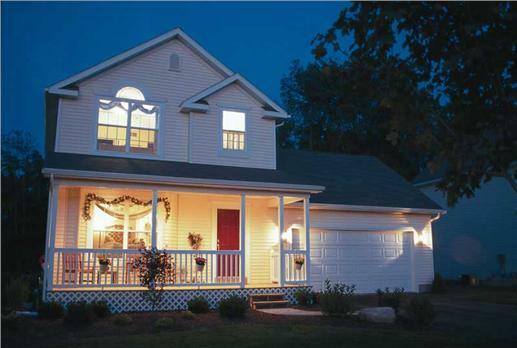 Curb appeal and more! 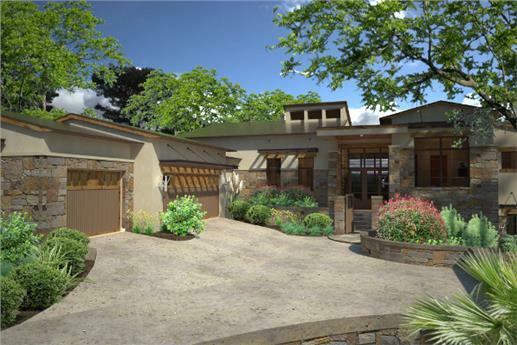 An eye-catching facade and a well-manicured courtyard entry add to the attractive exterior of this 2-story, 4-bedroom Craftsman-style bungalow house plan. The interior floor plan includes formal and informal dining rooms, family room, a guest room, laundry, and a master suite with a sitting area, a large walk-in closet, and a private bath (Plan #104-1061). When people talk of cottages, the bucolic English version comes to mind, with its gardens, plants and shrubs. 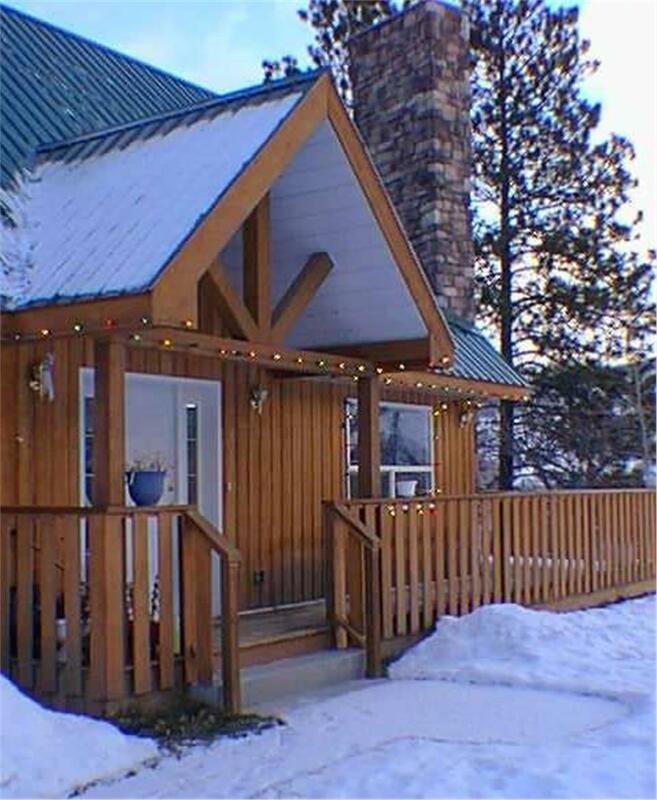 Small and cozy, cottage house plans have a rustic but modern feel. They may range from under 1,000 square feet of space to a little over 2,000 - spread over one or one-and-a-half stories. 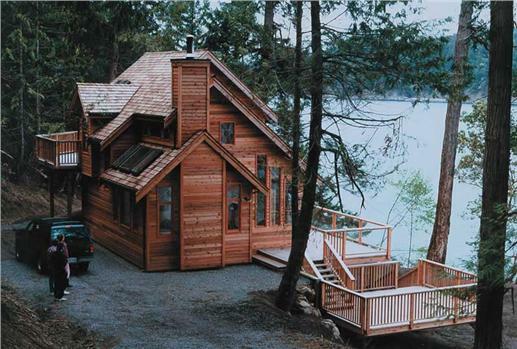 Like cabin home plans, cottages can be designated as weekend retreats, vacation homes, and primary residences. This attractive 2-story Cottage-style house plan (top) has 2 bedrooms, 2 baths, and a basement for a third bedroom and game room – all packed into 985 sq. ft. of space. There’s a covered front porch, sun deck, and terrace. 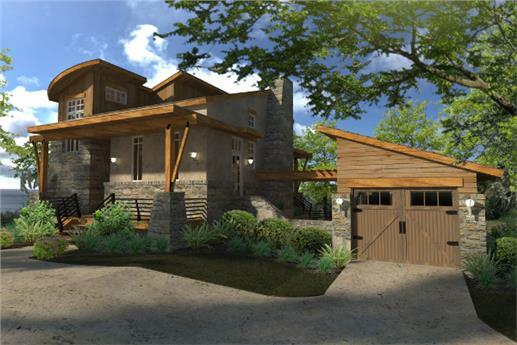 The view of the cottage at bottom shows the daylight basement (Plan #117-1101). Today, a small cottage on the property even serves as a guest house or a temporary – and separate – residence for children who have chosen to return to their parents’ home. 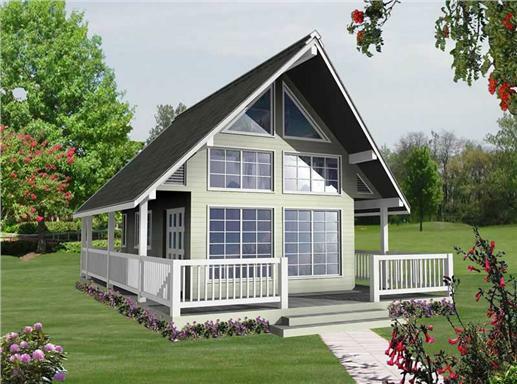 This 2-story, 1-bedroom Contemporary Cottage-style house plan has a total of 582 sq. ft. of living space – perfect for a guest house within a large property. 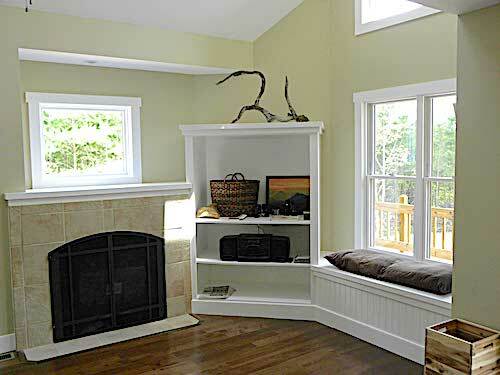 The wide living-area window wall allows an abundance of natural light into the space (Plan #160-1020). 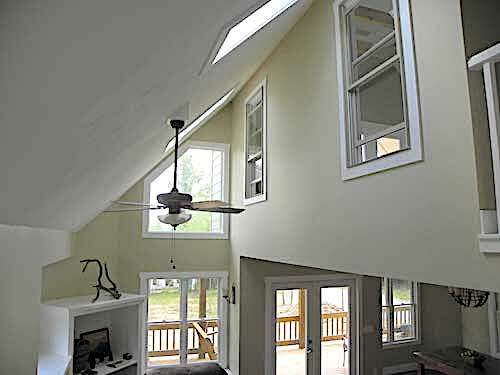 Cottage homes often feature open floor plans, wider doors, and hallways, and they come with modern features and conveniences. It’s not a small cottage, but this Contemporary take on a Cottage-style 2-story, 4-bedroom house plan is just as delightful and charming as its counterparts (Plan #117-1110). 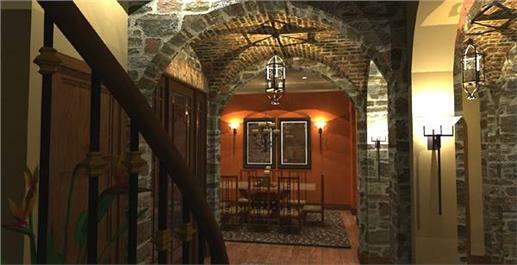 Archways of a rock/stone mix greet visitors as they walk into the front door of the home. 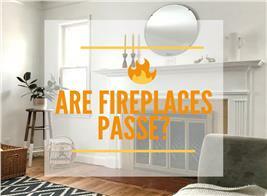 There are hanging and wall sconces to illuminate the area and add to the cozy atmosphere. 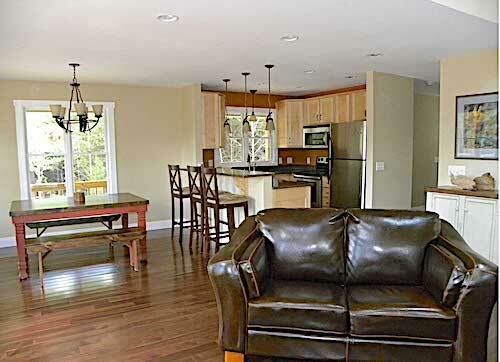 The floor plan’s spacious Great Room (shown below) includes the family room and kitchen areas. From here, there’s a view of the porch (Plan #117-1110). The idea for vacation house plans originated from the “Sunday Houses” of the late 17th century. 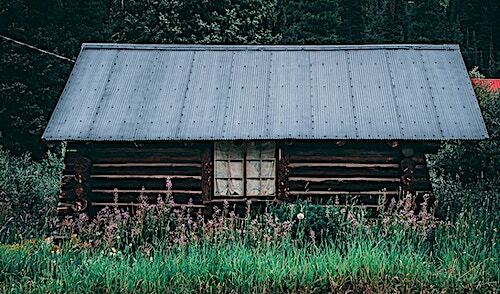 These were second homes built in town by farmers and ranchers who lived in remote areas. Having these homes near their churches enabled these families to attend church services, social events, and other activities in town. Similar to log cabins, the first vacation homes were one- to one-and-a-half-story structures with a single room, sleeping loft, and fireplace for heat. As we moved into modern times, vacation homes became as diverse, sophisticated, and stylish as log cabins, bungalows, and country cottages. With their open floor designs, space for expansion, modern appliances, and amenities, vacation homes are being transformed into primary residences. 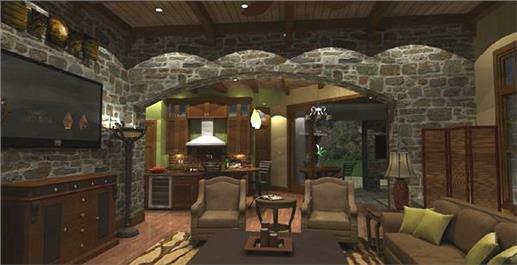 Here are two views of a 2-story, 2-bedroom vacation retreat house showcasing the wide front porch. Interior features include a Great Room (kitchen-living-dining areas), pantry, mudroom, and one bedroom on the main floor. 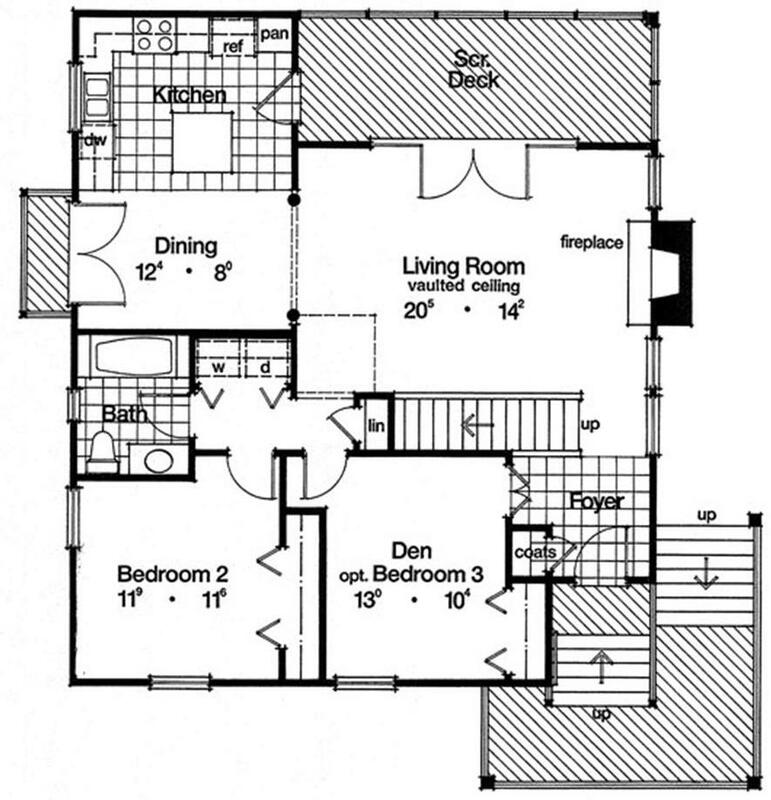 The master suite is on the second floor as well as a loft (Plan #177-1032). This 2-story, 3-bedroom Florida-style home plan has the ideal setting for a vacation getaway and a primary residence. 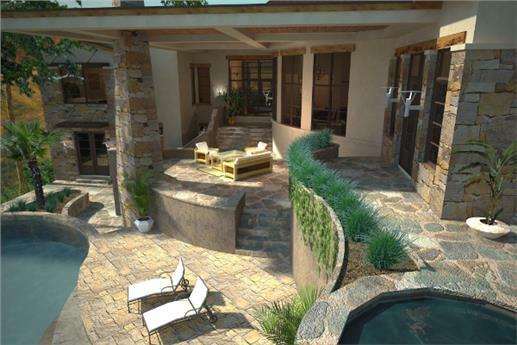 There’s an attractive courtyard entry lined with shrubs and trees; the rear patio (below) overlooks the swimming pool (Plan #117-1097). 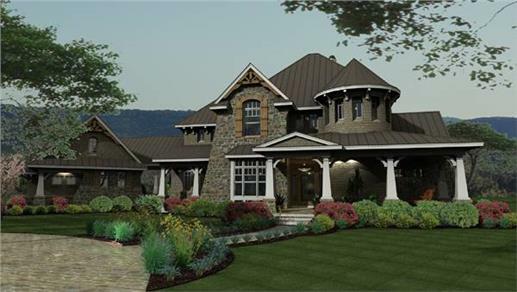 Can anything be more relaxing than sitting on the covered porch of this 2-story Country-style Cottage home plan and basking in the peace and tranquility of the surroundings (Plan #126-1287)? 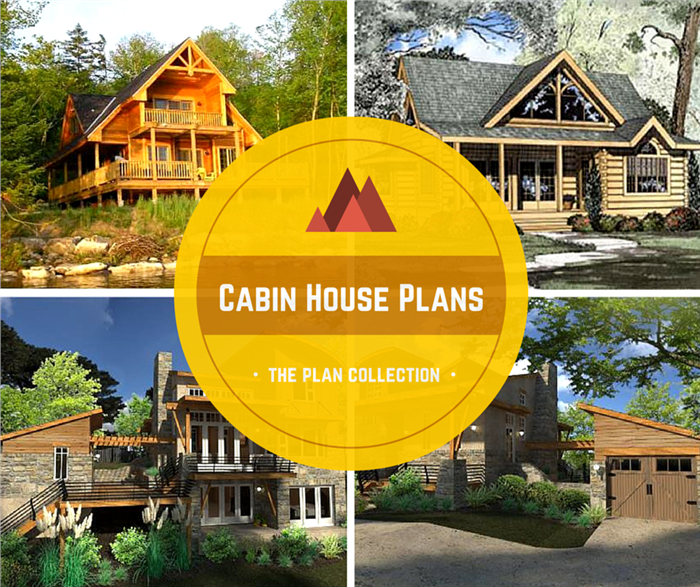 As you choose and design your cabin, bungalow, cottage, or vacation home plan, remember that they can be as simple, down-to-earth, stylish, sophisticated, and technologically-friendly as you want. But above all, make them comfortable, fun, and relaxing!